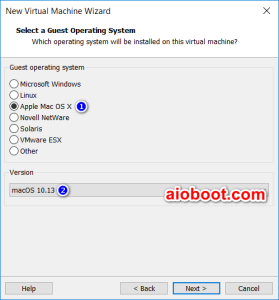 macOS Mojave is the latest version of the macOS operating system, you can easily install macOS Mojave on VMware Workstation. macOS is a proprietary operating system that runs on Apple Macs. There are now many techniques you can use to install macOS on your Intel PC (Hackintosh). 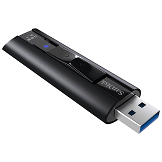 From Windows, you can use Clover Boot Disk to create macOS Mojave bootable USB with just a few clicks. 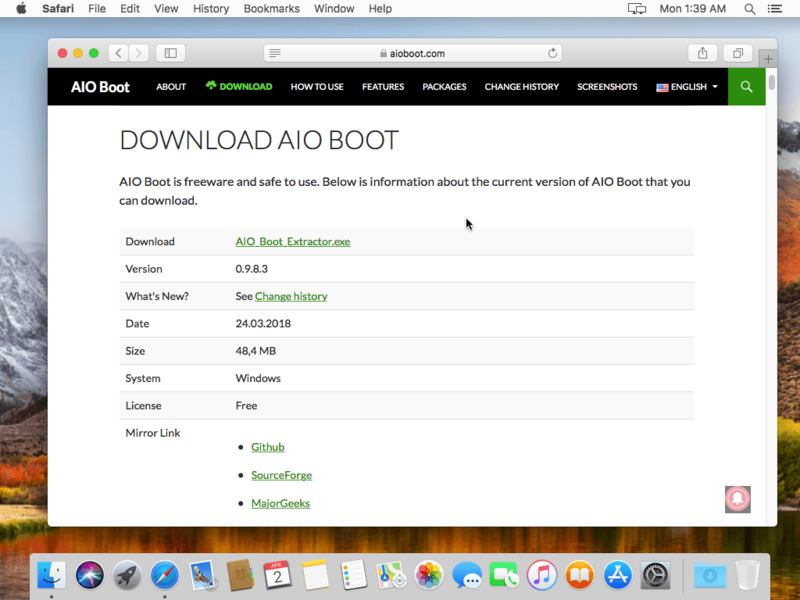 But not all hardware is supported, and you also need to refer to a lot of documentation so that macOS can be installed and running on your computer. 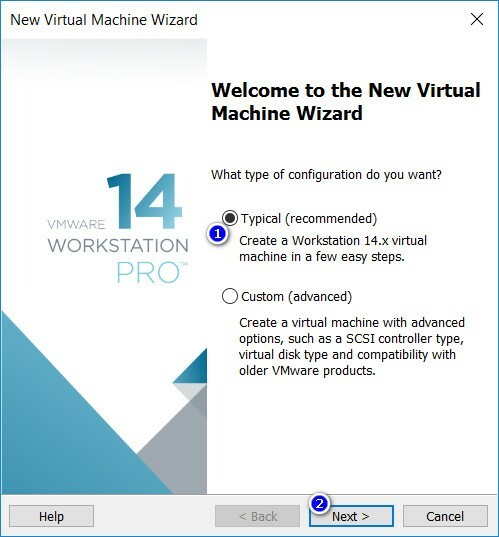 An easier way to experience macOS right on a computer running Windows or Linux is to install macOS on VMware Workstation. The advantage of this is that you will be familiar with the installation and use without affecting the settings on the computer. By using virtual machines, you can use macOS and Windows or Linux simultaneously. Using virtual disks ensures that all data on the real disks will not be affected. But I noticed running macOS on the VM is very slow, although I set it up to 4GB of RAM. 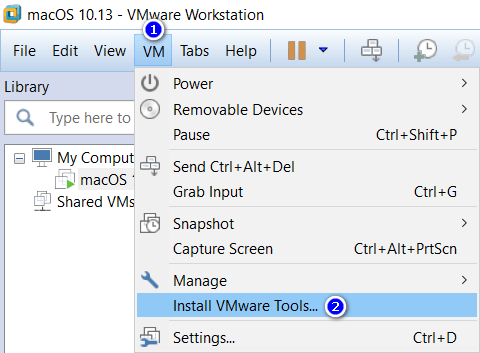 This article will guide you how to install macOS Mojave on VMware Workstation. I created a virtual disk containing the macOS installer, you just downloaded it, attached it to the virtual machine, and installed it. I’m not sure if VMware Workstation 12 supports macOS 10.14 virtual machines, but version 14 and 15 has support. I tested on VirtualBox and it does not work. By default, VMware does not provide the option to create macOS and Mac OS X machines. 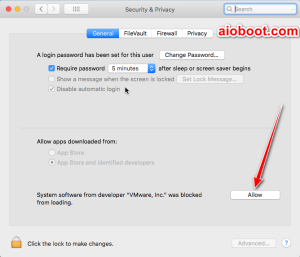 Fortunately there is a tool that helps me unlock this option, this tool is VMware macOS Unlocker. It supports Windows, Linux and MacOS. Skip this step if you were able to create a macOS virtual machine. 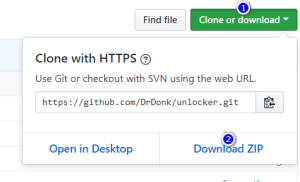 Go to the VMware macOS Unlocker page to download. Click the Clone or download button, then click Download ZIP. 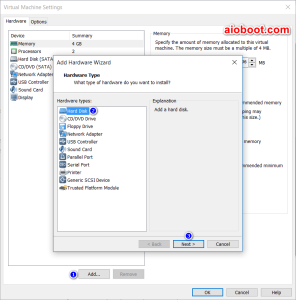 Power off all virtual machines running and exit VMware. Extract the downloaded .zip file in step 1. On Windows, right-click on the win-install.cmd file and select Run as Administrator to unlock. For Linux and macOS, run the lnx-install.sh or osx-install.sh files under root (not tested). 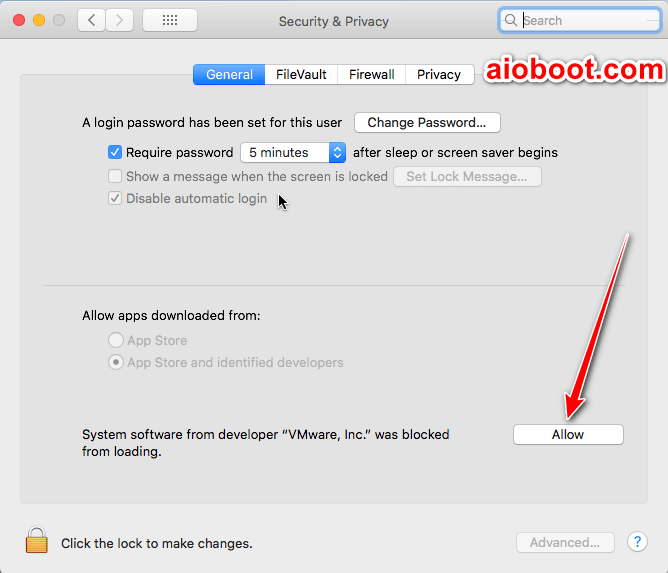 After the unlock process is complete, run VMware to create the macOS virtual machine. Select Typical (recommended) and click Next. Select I will install the operating system later. and click Next. Select Apple Mac OS X in the Guest operating system section and select macOS 10.14 in the Version section. Click Next. 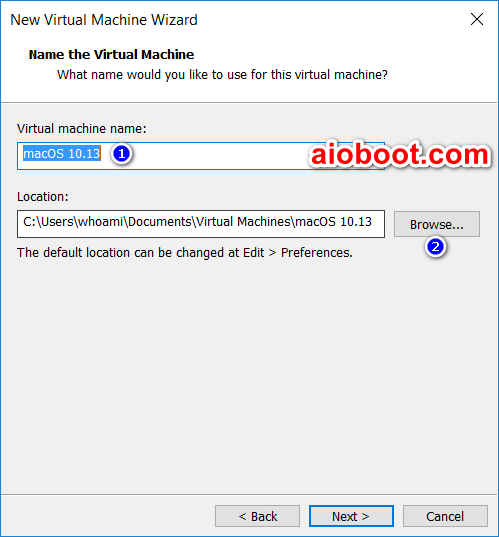 In the Name the Virtual Machine window, name the virtual machine and virtual machine directory. I personally would put it on a different drive than the system drive. Select the size for the new virtual disk in the Specify Disk Capacity window. This is the virtual disk to be installed macOS. Click Next and then Finish. After creating the virtual machine, we have a virtual disk to install macOS Mojave. Now we just need to add a new virtual disk containing the macOS installer. You can also create a macOS bootable USB, then boot USB in VMware Workstation to install but using a virtual hard disk will be a lot simpler. Download the OSX_10.14.0_Installer.vmdk file. This is an installation image of macOS Mojave. 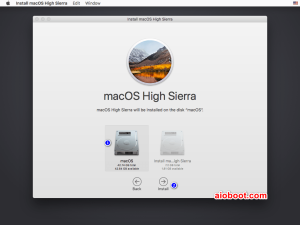 You do not need to use the Hackintosh ISO. 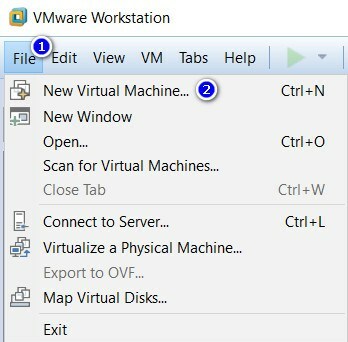 Select the virtual machine just created, click on Edit virtual machine settings. In the Memory section, you can increase the value to make the virtual machine run faster. I increased it to 4096MB (4GB) but macOS still runs very slowly. Click Add…, then select Hard Disk and click Next. In the Select a Disk Type window, click Next. 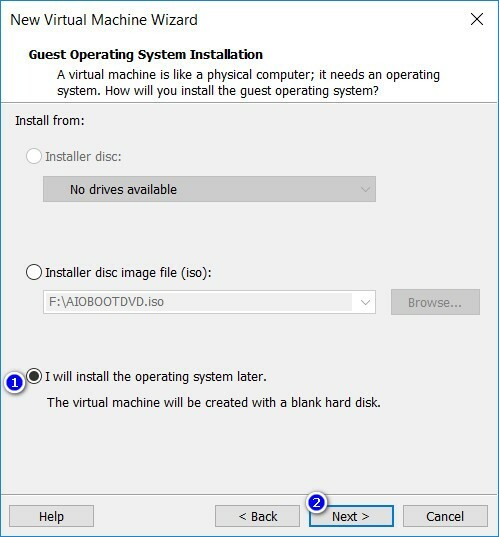 Select Use an existing virtual disk in the Select a Disk window and click Next to continue. In the Select an Existing Disk window, click Browse… to select the OSX_10.14.0_Installer.vmdk file that you downloaded in step 1. Click Finish, then click OK in the Virtual Machine Settings window. echo smc.version = "0">>"%ProgramData%\VMware\VMware Workstation\config.ini"
Ok, my virtual machine has booted, I’ve seen the screen to install macOS. 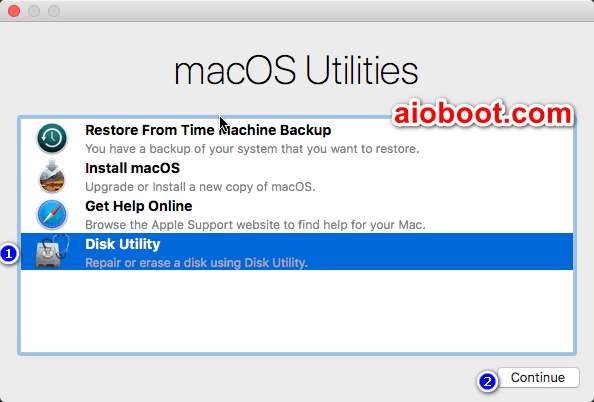 On the macOS Utilities screen, you need to run Disk Utility to create an APFS partition to install the macOS Mojave. In the left column, you will see the virtual hard disk you created above (VMware Virtual…). Select it and click the Erase button. Under Name, enter a name for the new partition. macOS Mojave requires a partition in APFS format for installation. Select APFS from the Format drop-down list. For older versions, select Mac OS Extended (Journaled). Click the Erase button to continue. 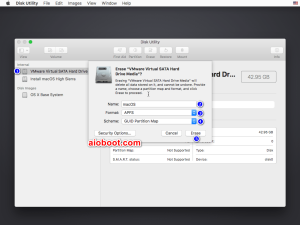 Once you have an APFS partition, close Disk Utility to start installing macOS. Select Install macOS and then click the Continue button. Continue to select Continue, then Agree and Agree. In the next window, select the APFS partition you created above. 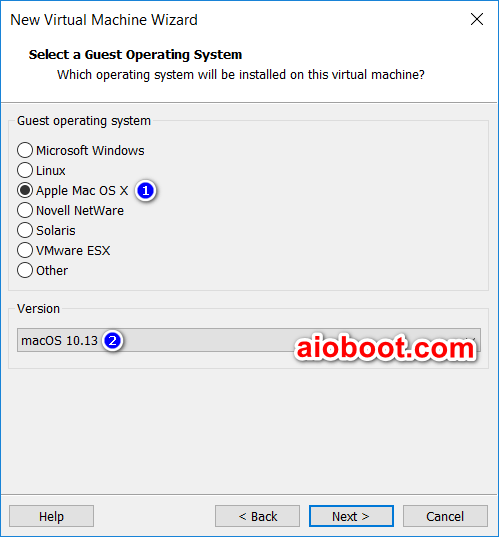 Then click Install to install macOS Mojave on VMware Workstation. 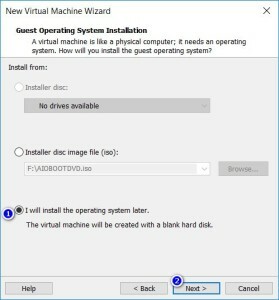 The virtual machine will restart several times until it allows you to set up. Please be patient. 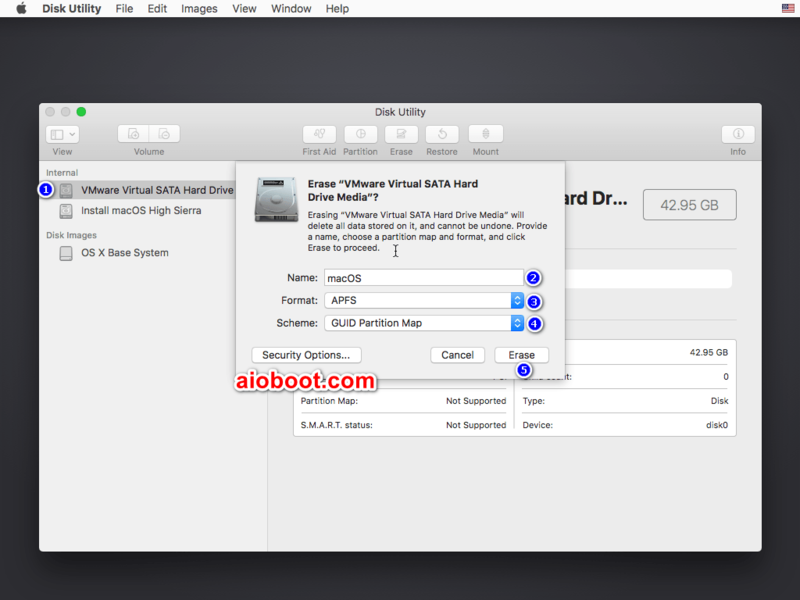 Once installed, you can remove the virtual hard disk that you added in the Add macOS image step. Open Virtual Machine Settings, select the disk and click the Remove button. 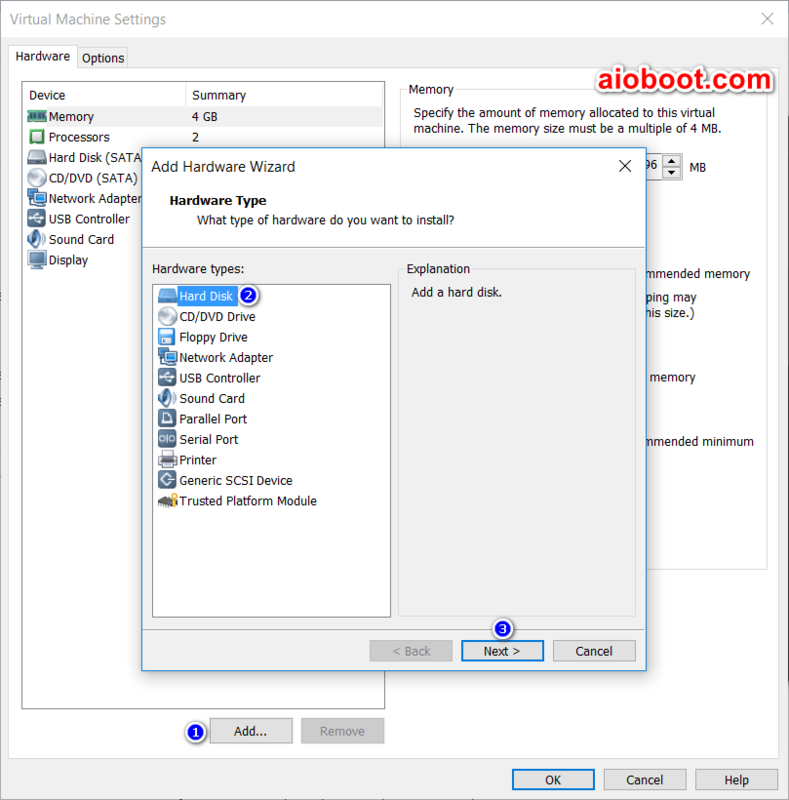 It is very important that you install VMware Tools in the virtual machine. Installed VMware Tools will improve the performance and support for additional features. Learn more about installing VMware Tools for the macOS virtual machine at VMware’s Web site. VMware will automatically mount the darwin.iso file and the VMware Tools icon will appear on the virtual machine screen. Double click on this icon to install. Click the Open Security Preferences button if you see the message “System Extension Blocked“. You will see the message “System software from developer “VMware, Inc.” was blocked from loading.“. Click the Allow button. 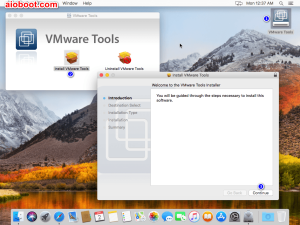 So you have finished installing macOS Mojave on VMware Workstation. Good luck! I had accidentally turned on the updates for developer versions but the error was before, and after, the update. I run a lot of windows and Linux (mainly CentOS for work) VM’s and this is the first Mac VM. Am I just out of luck for VMware tools unless I am running a MAC as my Host OS with VMware Fusion? BTW, Thank you for these instructions, they are the only ones on the web I could find that worked. I was ready to post to say how everything went well, but…something is not ok. However thanks a lot for the whole process described here, it is great. So I have all installed and after installing VMWare Tools, I got on the desktop with a full resolution (1920 x 1080). But it did not last long and the resolution is going back automatically to the other option : 960 x 540 (HiDPI). Default option gives the same result than “scaled”. I restarted but no change. Does someone have a solution for that? Ok I found the solution, it is in the settings, Display, untip the display scaling. Sorry for that. Insufficient permission to access file. Try running the VM under admin. Hi Tu, thx. But how is it with an existing appleid? Can it be used or set a new appleid? It works fine with my existing Apple ID. I have never owned a Mac before so my Apple ID was only for my iPad and iTunes. Everything worked nicely, but for some reason except for HLS on Safari – it fails to play natively, while the same links work just fine on MacBook, for instance. Any ideas/suggestions how to make it work? having the same problem. did you find a fix? Thanks for a great template, but i cant boot the vm into OSX, it hangs on apple symbol. Running Workstation 15.0 on Ubuntu 18.04 host. I execute the lnx-install.sh successfully . and create the vm like your work. This is the ONLY instructions that actually works the entire phreaking web, atleast for Mac OS X 10.14 Mojave and VMware Workstation 14.x. Your website / instructions is the only one to solve the VMware 14 issues I’ve been having. Your updated Patch tools was the solution. Install worked perfectly. You only have to add the smc info in your MacOs.vmx file. Thanks so much for this, it worked great! I have spent hours and hours trying to get Mojave running in a VM, and tried many other Web sites’ instructions, with no luck. Yours worked! Thanks again. This worked flawless. no errors. Followed The Guide Carefully… Thanks alot. 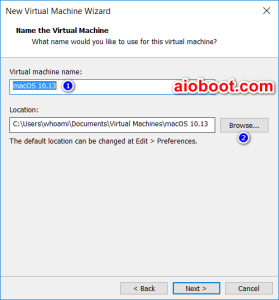 I can’t find macOS 10.13 after installing VMware macOS Unlocker on Win10. I have been trying to get a macOS VM working for some time but your instructions and the links to the resources made it very easy. I followed the instructions and all worked fine. A couple of prompts were different but nothing particularly noteworthy, (e.g. there was a warning about a sata0:1 device but I cancelled that after the install). After install the first reboot and 100% progress bar nothing seemed to be happening for some time so I restarted the VM and all was then OK. Performance seems better than I expected but I have not tested anything heavy yet (, host: Windows 10, Intel Core i7-4500U @1.8GHz, 8GB RAM, SSD). Updates to macOS 10.13.6 worked fine. Exit all applications running on this disk or using this disk. Excellent !!! Worked 1st time !!! Thank You. Struggled 9 days with Vitualbox ….. Why I don’t know… Since I am a VMWare expert !!! LoL …. Leanding ears out to other suggestions !! Now I am going to try it on VBox too ….. Cheers !! I tried VirtualBox but it does not work, anything doing it works let me know please. i have this error msg pops up. I have no idea what that signifies but I am connected to the internet. I think the time settings on your computer or virtual machine are incorrect. Thanks, but the time (UTC) is the same on both. I have just found that the reason for the “The recovery server could not be contacted” message was that I had Network Connection set to Nat. I changed it to Bridged and set Replicate physical network connection state on. thanks for your post! I have a problem when i click on instal. It says “The recovery server could not be contacted”. It seems the time on the computer is not correct. I got a message saying “The CPU has been disabled by the guest operating system. Power off or reset the virtual machine.” how do I fix it?? will it still read the devices that are plugged in in the virtual machine? and will it work with the trial of vmware workstation 14? It seems that at the end screen, when we should wait for the install to complete, the installer want to download 5.1 GB !